Mt Gravatt Community Centre wishes you and your loved ones a wonderful Christmas. May your year ahead be full of love, laughter and joy. Please note that the Centre will be CLOSED during the Christmas and New Year period from Friday 21st December 2018 until Monday 7th January 2019. Our phone lines will be switched off between Friday 21st December 2018 and Wednesday 2nd January 2019. We apologise for any inconvenience caused. Please note our Food Pantry will be CLOSED from 21st December 2018 until 14th January 2019. If you need emergency food assistance in the New Year, Acacia Ridge Community Centre (3277 4893; 21 Hanify Street, Acacia Ridge) and Kyabra Community Centre (3373 9499; Kyabra Street, Runcorn) will be open from the 2nd January 2019. We improved our telephone system. I hope this has helped you to get in touch with us faster without being left on hold! We installed new solar panels at Bernie's Place. 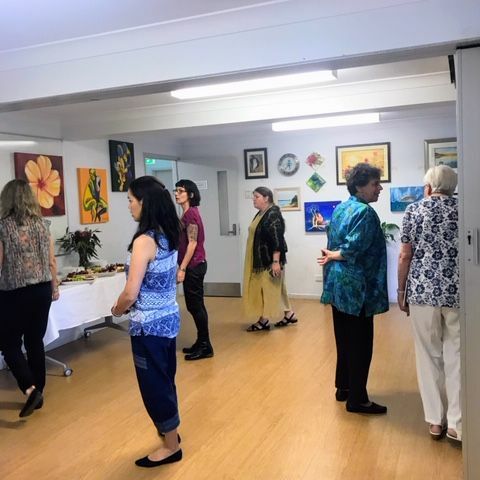 Carole Park Community Centre/Elorac Place kindly donated cold rooms to MGCCI to increase our food storage capacity, and Lions Club MacGregor and Brisbane Airport Corporation generously donated funds for their refurbishment. The cold rooms will be operational early in 2019 and will help us assist more community members with food relief. The first round of our Skilling Queenslanders for Work program, proudly funded by the Queensland Government, assisted 12 participants to undertake Certificate III in Individualised Support (Aged Care and Disability) this year. 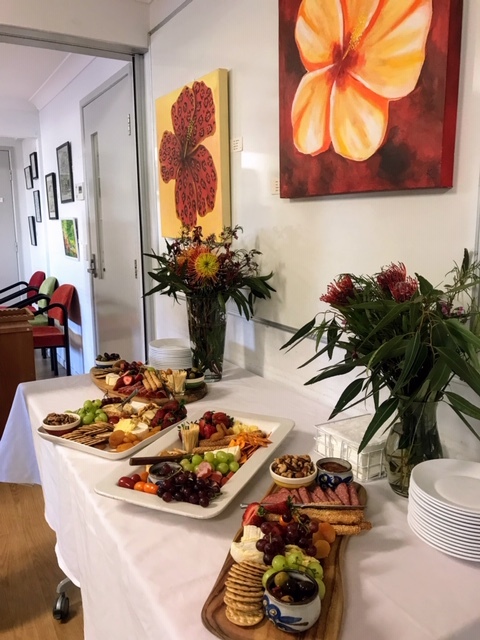 The second round is due to start on 6th March 2019 and we are currently recruiting new participants for the program to help people enter or re-enter the workforce in the highly rewarding aged care and disability support sector. So if you wish to join the workforce or know anyone starting their career, please contact the centre. We recently received funding for emergency food relief, starting January 2019. As part of Queensland Community Alliance, we received funding of $100,000 to address social isolation and loneliness. New signage will be erected this month so our centre is more clearly visible. We received funding from the Lord Mayor's Charitable Fund for our Client Christmas Party, held on 5th December, and Christmas presents for the children in our community. 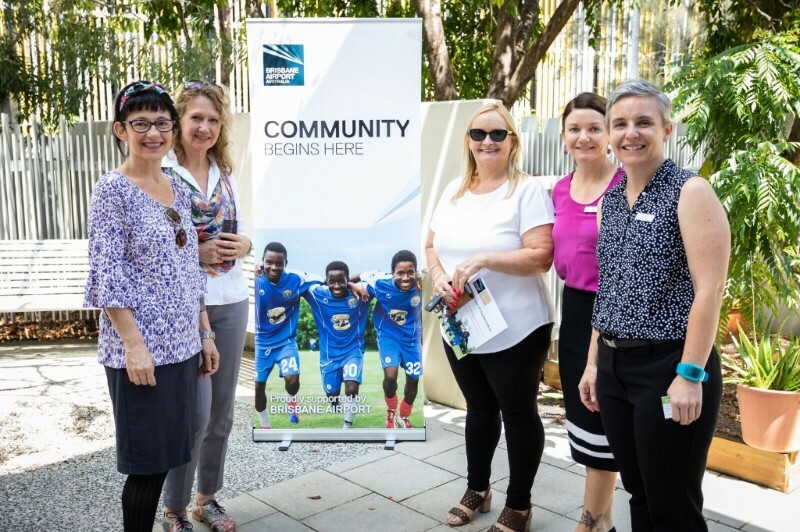 We received funding for our multicultural women's information sessions from the Department of Communities through the Thriving Communities Fund and Brisbane City Council. We assisted over 7,000 people this year with emergency relief, in-home support and home maintenance and modifications. 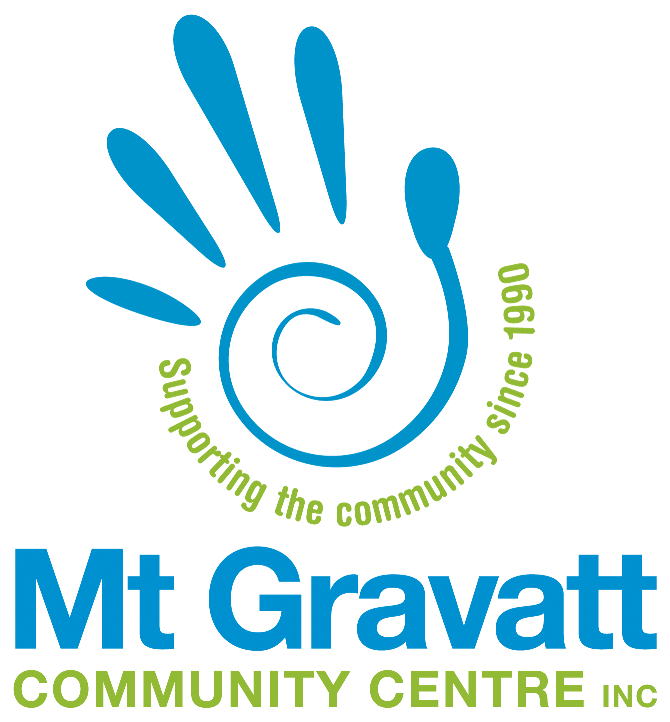 The Board and management of Mt Gravatt Community Centre would like to thank the Queensland and the Australian government for their continued support. Special mentions go to the member for Mansfield, Corrine McMillan MP; the member for Greenslopes, Joe Kelly MP; the federal member for Bonner, Ross Vasta MP; and our local councillors, Cr. Krista Adams for Wishart and Cr. Steven Huang for Macgregor, for their ongoing support and commitment to the work MGCCI undertakes for its local community. Our Annual General Meeting was held in November at Bernie's Place and was attended by 11 members. I would like to thank the previous board on behalf of the leadership team and staff for their support during 2018 and extend a very warm welcome to the new 2019 board members. I look forward to working with you all this coming year. 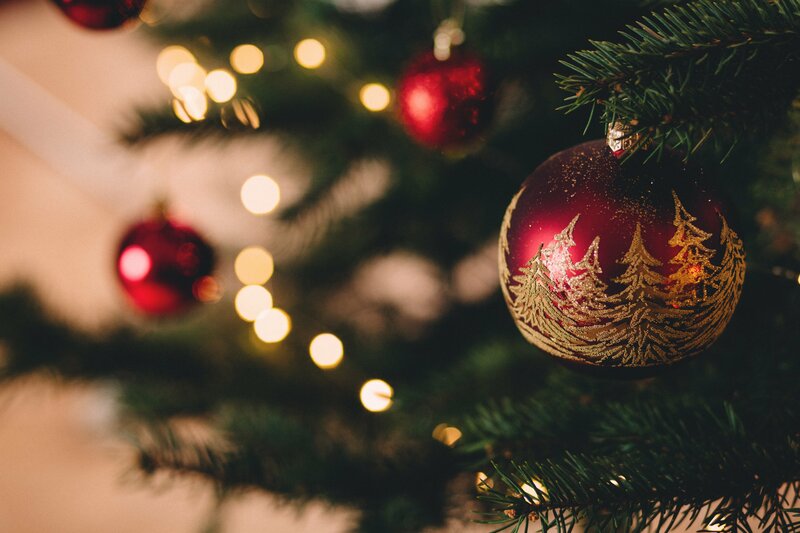 Lastly, on behalf of the board, management and staff of Mt Gravatt Community Centre, I would like to wish everyone a very safe and Merry Christmas and a wonderful holiday season. I hope to see you at the centre in the new year. Mt Gravatt Community Centre's Annual General Meeting (AGM) was held on Thursday November 15th at Bernie's Place. Thank you to our supporters and all the board members and staff, past and present, who attended. 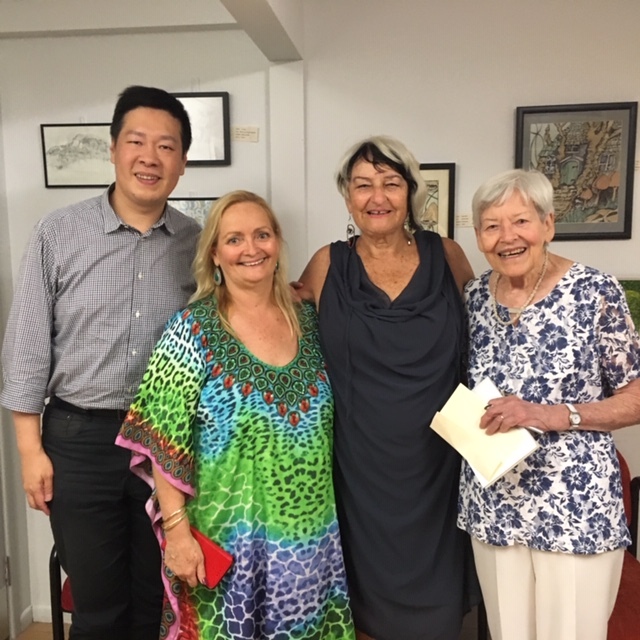 Thank you to our founding patron, Judy Spence, as well as Steve Bakker and Jo-Anne Campbell for speaking at the event. A vote was held and Ian Lang was elected Life Member. Congratulations, and thank you for your many years of service as President of our Centre, Ian. MGCCI's 2019 Board. From left to right: Kat Cusack, Steve Bakker, Pat Shine, Tarsh Mumby, Ruth O'Brien, and Meredith Horner. Brisbane Airport Corporation kindly donated a grant of $1,000 to MGCCI for the completion of our cold room installation. This will help us safely install the cold rooms for our food pantry. 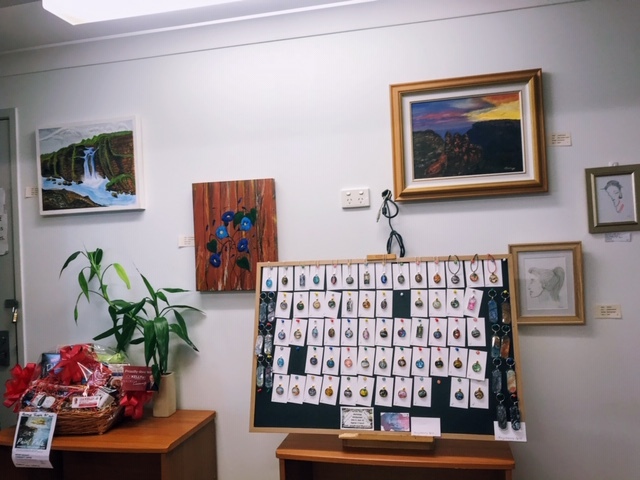 The food pantry provides vital food relief to residents of the Mt Gravatt region and surrounding suburbs who are doing it tough and just need a little extra help to get by. The cold rooms will enable us to source and store more food items that will go towards helping our community. We would like to say a big thank you to Brisbane Airport Corporation for their generous contribution and support to make our food relief program bigger and better. Thank you very much to the Sunnybank Parish Friendship Group for your kind donation to Mt Gravatt Community Centre, which will be used to provide food relief for our clients in need. It is much appreciated. 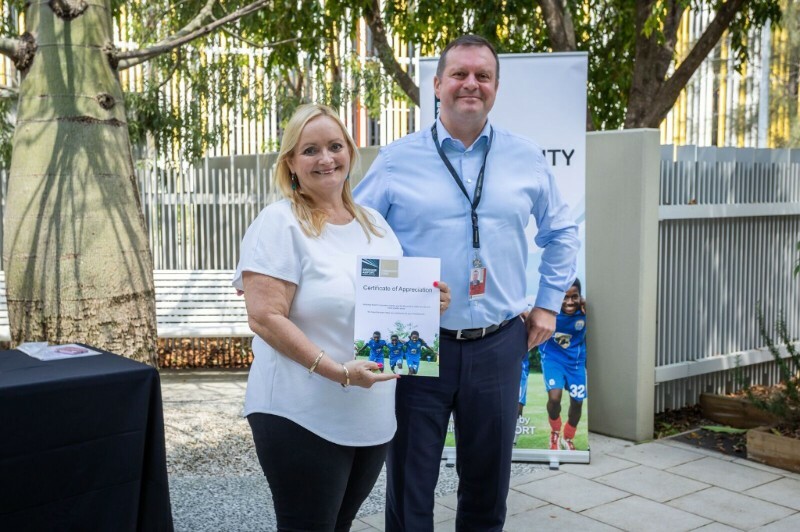 Brisbane Airport Corporation's CEO, Gert-Jan de Graaff, presented Deb with a Certificate of Appreciation. 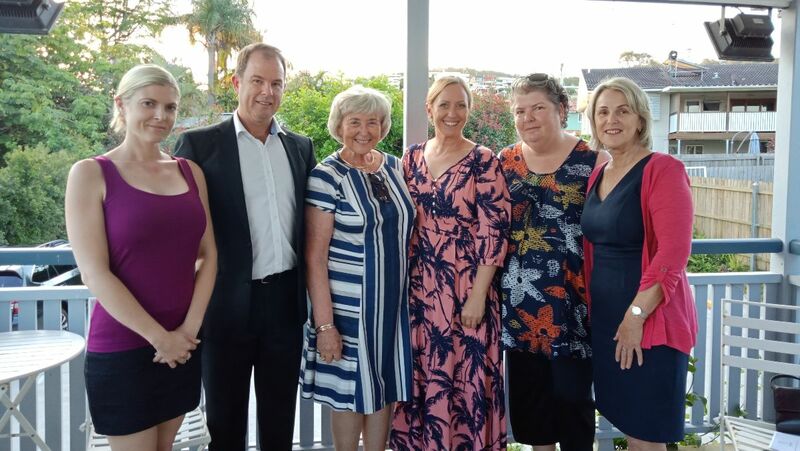 Deb, Caroline and Janene (pictured with staff from Footprints) were able to say thank you to Brisbane Airport Corporation by attending a morning tea on 25th October. 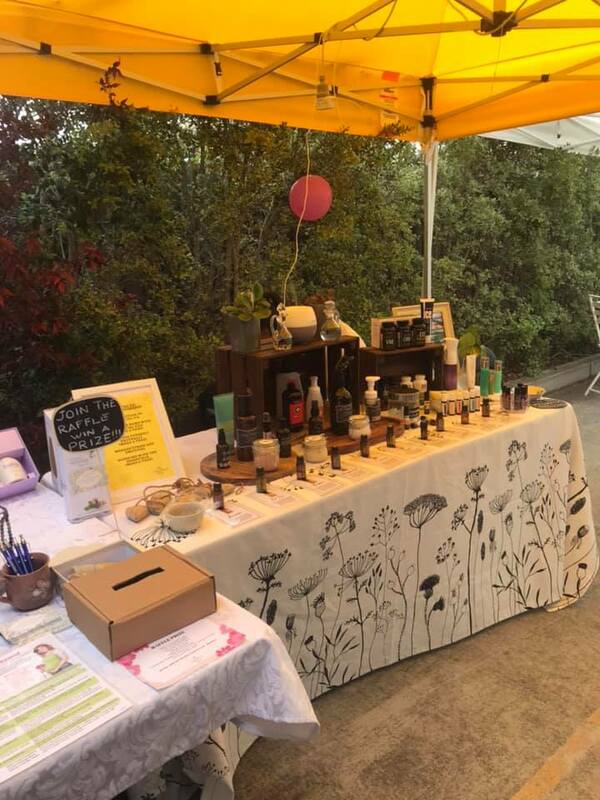 Mt Gravatt Community Centre supported and hosted a Wellbeing Fete on Saturday November 10th. It was run in conjunction with Voices for Change Brisbane, Brisbane City Council and Brook RED. The event showcased many of the groups, activities and services offered at our Centre. Anne from Yoga Forever gave yoga taster sessions and Jon from Mindfulness Australia facilitated a relaxing meditation. Thank you to Campbell Page for providing the delicious BBQ, to Grove Juice for the tasty orange juice, and to all the groups, volunteers and others who participated and helped out on the day. 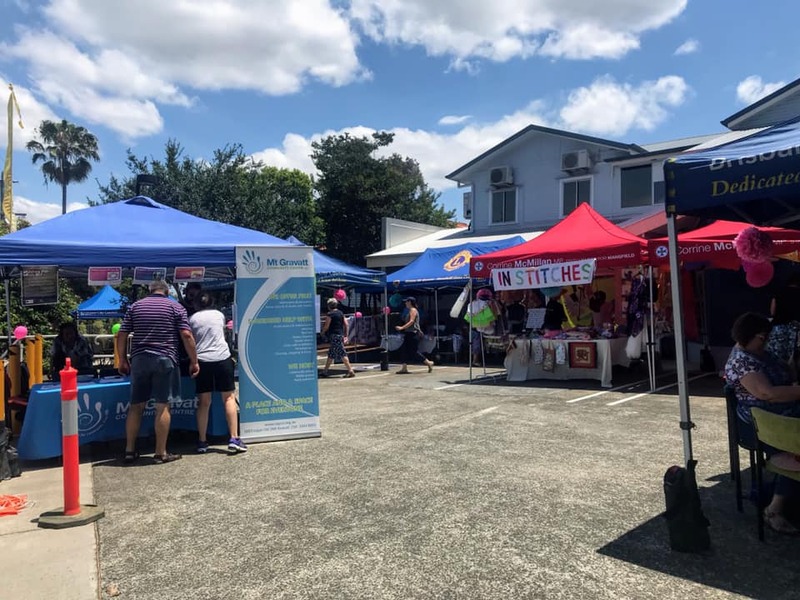 Stalls at Mt Gravatt Community Centre's Wellbeing Fete. The Paint Pals Social Art Group held their annual Art Exhibition on Friday November 3rd from 6-9pm at the Centre. 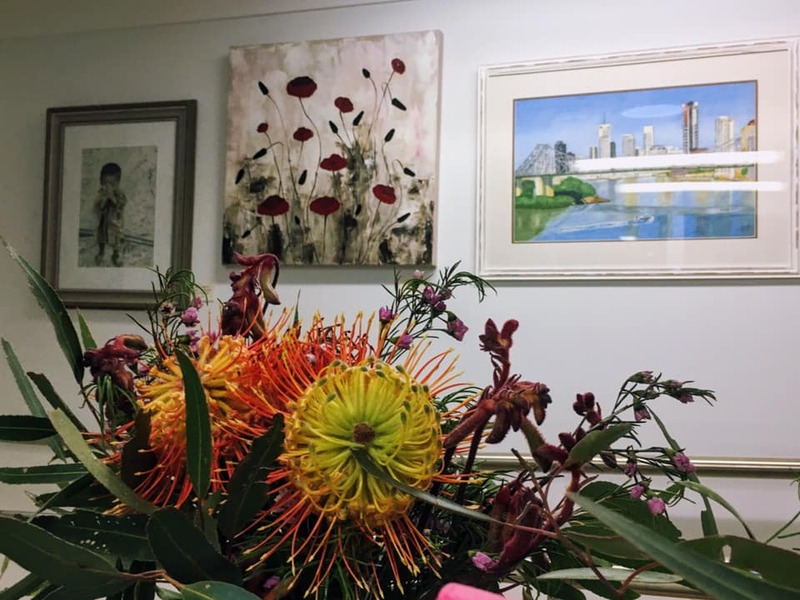 Beautiful artworks were displayed along the walls, admired and purchased by members of the public. Three guest judges, Dell Harrington, Natalie Taylor and Cr. Steven Huang, were given the tough job of awarding prizes. Wine, cheese and platters of food were enjoyed by all who attended. The exhibition continued over the weekend. Thank you to our guest judges, to Nancy Cox-Millner from Paint Pals for your organising efforts, and to all who were involved and helped out. It was wonderful to see so many lovely works of art! From left to right: Cr. Steven Huang, Deb Crompton, Natalie Taylor, and Dell Harrington. Staff and visitors enjoying viewing the artworks. 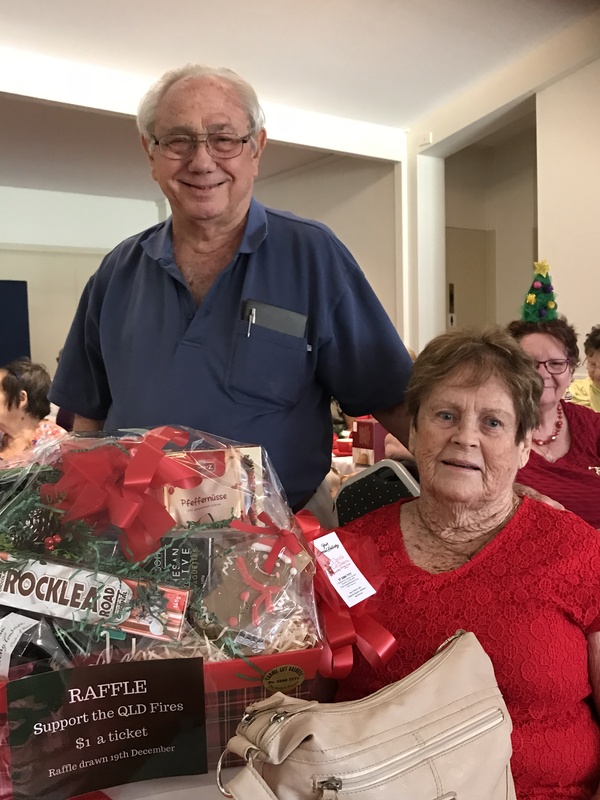 The MGCCI Clients' Christmas Party, held on Wednesday 5th December at Southern Cross Sports Club, Mt Gravatt, raised $150 to help families affected by the December bush fires in Queensland. The raffle prize was donated by our local Member for Mansfield, Ms Corrine McMillan MP. Thank you, Corrine. The party was attended by MGCCI clients, volunteers, community and social groups, members, board members and staff. The winners of our Qld Fires raffle, Ron and Jan King. Congratulations, Ron and Jan! We hope you enjoy your goodies. Developing an annual calendar of events so you can get these in your diaries early. Lots will be happening at your Community Centre in 2019. We look forward to your visits and keeping you informed of what's happening in 2019. 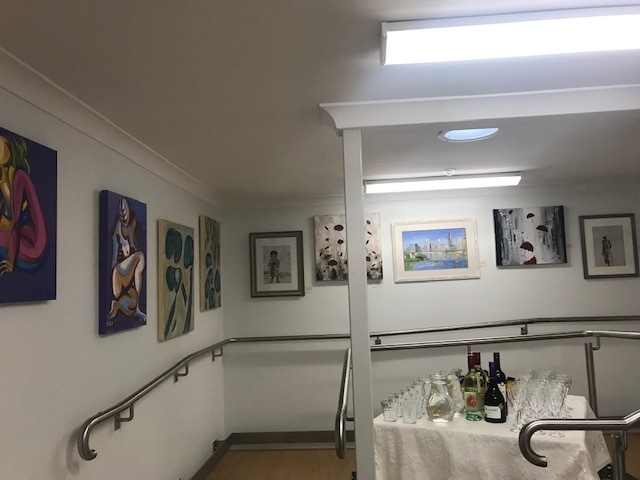 Copyright © 2018 Mount Gravatt Community Centre Inc, All rights reserved.